The menopause is certainly not something that most women look forward to! And that’s hardly surprising when 8 out of 10 will suffer from at least one of a long list of unpleasant symptoms commonly associated with the ‘change of life’, including hot flushes, migraines, lethargy and even depression. Or when the standard treatments available from their GP are either highly ineffective or come with their own series of potential risks and side effects such as nausea, headache, tender breasts and spotting. Which is why we want to introduce maca – a powerful superfood from Peru that can help you manage your menopause symptoms the natural way. The menopause occurs when a woman’s natural supply of oestrogen declines and her ovaries finally stop releasing eggs and she is, in effect, no longer fertile. In the UK the average menopause age is 52, although some women experience it as early as their 30s or 40s. The menopause is preceded by the perimenopause, which usually begins several years prior to the menopause – during this phase hormone levels already begin to fluctuate and trigger imbalance. What are the most common symptoms of the perimenopause and menopause? The hormonal fluctuations experienced both during the perimenopause and menopause are responsible for a wide range of symptoms that, for around 20% of women, can be so severe that they seriously impact their quality of life. Maca powder is a delicious superfood prepared from a Peruvian root vegetable that resembles a small turnip and contains a variety of beneficial nutrients including vitamins (vitamins A, B, C, D and E), minerals (such as iron, magnesium, calcium, potassium, and iodine), fibre, amino acids and essential fatty acids. It is particularly effective in relieving menopausal symptoms thanks to its incredible adaptogenic properties. Adaptogens have a harmonising effect on the body – they help to balance the endocrine system and restore hormonal imbalances. This is why maca is so effective for those undergoing the perimenopause or menopause. 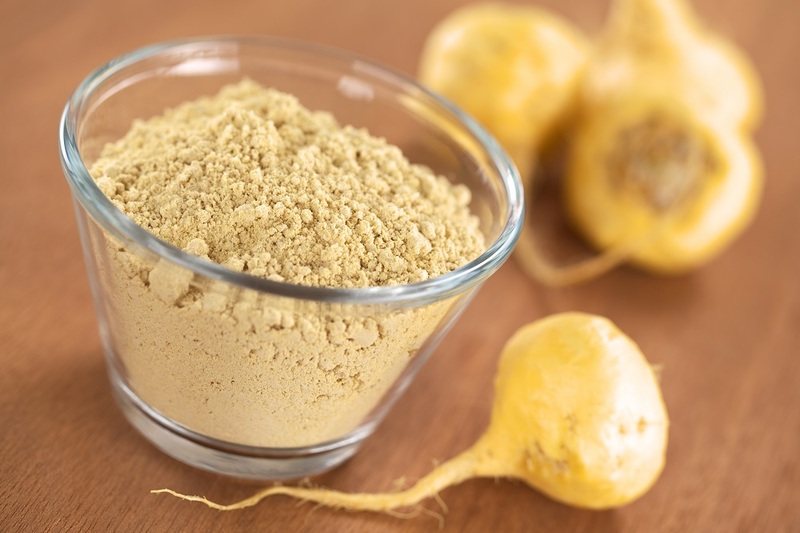 Clinical studies have also indicated that maca has a positive effect on energy levels and mood (during Inca times maca was often supplied to warriors prior to battle in order to increase alertness and provide extra energy and strength) and can help to reduce anxiety and simultaneously increase libido. How can I enjoy maca for a problem free menopause? Maca powder is an incredibly versatile superfood – it can be stirred directly into shakes, smoothies, protein drinks and juices and is absolutely irresistible when combined with raw cacao in a range of raw chocolate recipes. Hi there, i am 45 and gave up breast feeding last May, my hormones took a massive nose dive, and within a few months was pre-menopausel, which was a huge shock to m my body, not to mention the devastation of it all. I have been taken a tea-spoon full of Maca in my cacao banana hemp smoothie every morning, which has proved very powerful. But i find if i dont take a few days off from it every 7 days or so, it is too powerful for me and i dont sleep at night. 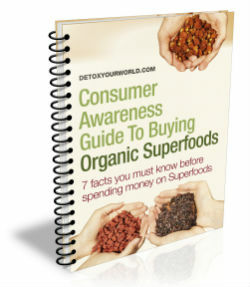 I think ones body can have too much of a good thing, and then renders it counter -productive. a very yummy powerful food. How very silly of me not to connect the dots! I take approx a tablespoon every morning in my green protein smoothies, and I know it works for my mood and hot flushes. I love the stuff! but I also survive on very little sleep, and for the life of me couldn’t work out why? until know, thank you Harmonie. So I will try and do one day on one day off and see how how I go. Hi Susi, i am interested to hear about your results from taking days off from the Maca? has your sleep changed at all? As like you i was getting very little sleep and although feeling exhausted could not work out why i was not sleeping, as i was getting plenty of fresh air and excercise, a good balanced diet, and was not worrying about anything, taking camomile tea and valarian tea not working at the computer 2 hrs before bedtime etc. Until after racking my brains my instincts told me ‘Maca’ as i was drinking it one morning, so i cut it out the very next day and almost instantly my sleep improved. now i take it a few days on then a day or 2 off, depending on my schedule. I have been using maca powder for almost 3 years for my energies, and maca does a great work keeping me alert till the end of the day and letting me to give all the attention my family deserves after long work days. I didn’t know till now that maca can help with menopause symptoms as well. As I’m approaching the “Age”, I’ll definitely try using maca and see if it really can help me through the mood swings and hot flushes, as I remember from my older sister, it wasn’t nice at all.